Our good fellow teachers for traditional Blues - Site de goodfellowblues ! 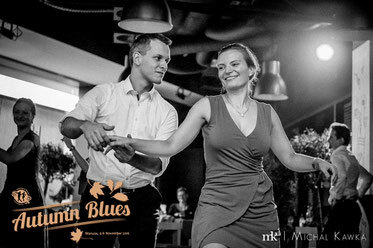 Agnieszka and Konrad come from swing dances, and as they met, they also discovered the Blues dancing. Since then, they have embraced this new dance to the fullest, and now devote themselves to learning, listening, studying the Blues to better spread the joy this dance brings wherever they can. Here is an excerpt from what is important for them in the classes they give: "We try to encourage participants of our classes to explore new techniques and move as if nobody was watching them, and to play with the music, and make fun of oneself while dancing, just as the founding fathers and inventors did. Some examples of the topics of our classes are: tension and release, continuing the movement, speeding up and slowing down, conversation including call and response, putting rhythmical variations into moves and many more". Yannick and Sandrine are well-known in the neo-tango parisian community. 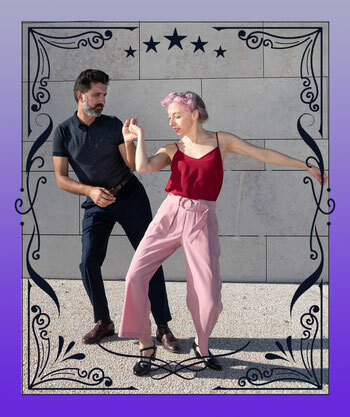 Sandrine mainly practises Tango, but appreciate to come and dance some Blues. Yannick is always enthusiast to share skills and concepts between different styles and dances. They are building a specific class for us with great enthousiasm ! They talk about "soltada", imbalance, waves, sliding lift ... soon, we will also be able to understand what they mean ! Here are some photos of our dear Agnieszka and Konrad ! And here are our traditional Blues dancers in action at the TBS 2017 !